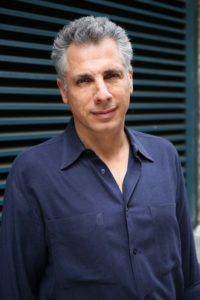 Lester Evan Tour is a lifelong New Yorker, active in the fields of design, construction, and development for over thirty years. Prior to founding LETA Architecture, Lester worked as a designer for a range of firms throughout New York City. His pragmatic approach and passion for designing within a projects constraints, drove him to start his own firm. Beyond working in the standard capacity as an Architect, he has contributed to projects as an investor, consultant, and designer, giving him a more balanced and nuanced understanding of the development process. His experience includes both large and smaller scale commercial and residential project development, in addition to the detailed design of custom furniture. Lester has been a guest design instructor and guest final presentation juror at Pratt Institute and New Jersey Institute of Technology. Lester is an active contributor to several New York-based charities. 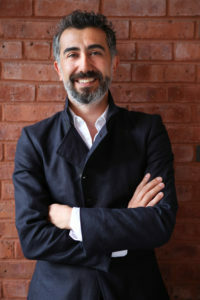 Bulent has served successfully in architecture and design firms for over ten years in New York and Istanbul. His portfolio includes projects ranging from high‐end residential architecture to complex, mixed‐use hotel/residence/office towers. Rather than following a prescriptive approach to design, he recognizes each project requires a unique and innovative approach – based on his client’s needs and a site’s specific demands. He takes an extensive role both in design and construction phase of projects. 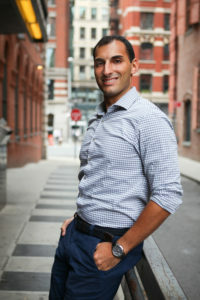 Since joining LETA in 2008, Bulent’s projects include corporate offices, townhouse, and apartment renovations, and facade remediation in New York City. Michael creates, designs and provides project management for LETA Architecture’s residential and commercial clients. He has also collaborated on construction and filing sets for a vast majority of LETA’s projects since joining the office in 2013. His attention to detail and ability to communicate information thoroughly has aided in projects moving from design through construction on schedule. This has extended past architecture as Michael has applied these skills to reformat office standards and help streamline business operations. Prior to joining LETA, Michael worked on design and planning for studios at NBC, offices at 30 Rockefeller Center, and master planning for Yale New Haven Hospital in addition to projects in the science and technology fields. He has received several awards for his student work. 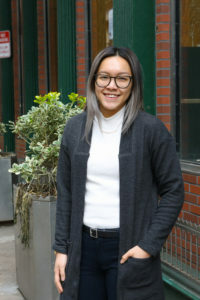 Finna has a diverse background in the residential industry; as she has experience in textile and furniture sales for residential and hospitality projects, to creating interior finish packages for various healthcare and institutional projects in the Philadelphia area. Most recently, she worked on high-end residences as a technical designer for a custom luxury European cabinetry fabricator in New York City. Since joining LETA in mid-2018 Finna has collaborated with filing and construction sets for apartment and multi-family renovations. Trained as an interior designer, Finna has used her abilities to organize LETA’s material library and become the primary liaison for FF&E vendors. She has a passion for design that is helping her transition into the world of architecture. Her background in interiors and custom, high-end detailing, provides an exciting asset to LETA. Approaching LETA’s projects with a different mindset, she helps solve design problems in imaginative ways. Finna is expecting to become a Certified Interior Designer in 2019.